That’s a lie. There’s no way these book reviews are going to be only 10 seconds. I haven’t been blogging every night which means I’ve been reading. Here’s what recently run across my kindle. I’m an aunt of some kiddos on the autism spectrum and this book was eye-opening for me. I soaked up every page. 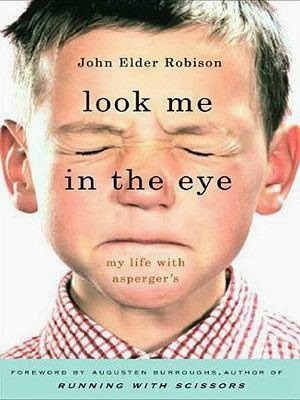 John Elder Robison, brother of author Augsten Burroughs, was able to communicate so effectively his experiences as an aspergian. What impacted me the most: while growing up he had to deal with the pain of knowing he was different, but he didn’t know why. His struggle to fit in, to feel loved… it broke my heart. Still, his life success and ultimate understanding of who he is gave me hope. First off, don’t judge me. Next, yes. 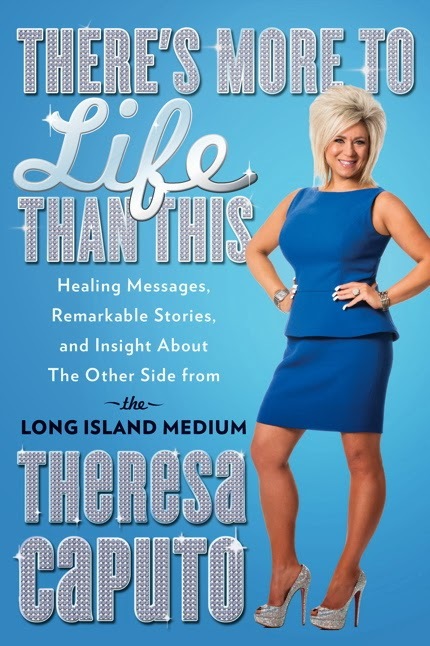 I like the Long Island Medium. I read this book because I, like you, have watched this TV show and well… my Mom died four months ago and when that happens you read stuff like this. This woman is a sweet soul and I do believe in angels and sprits and I do believe in heaven. I think this woman has a connection to something. I could go on and on, but you’ll think I’m nuts. Do I reccomend it: Yes. Whatever, I needed some light reading and this was definitely light. 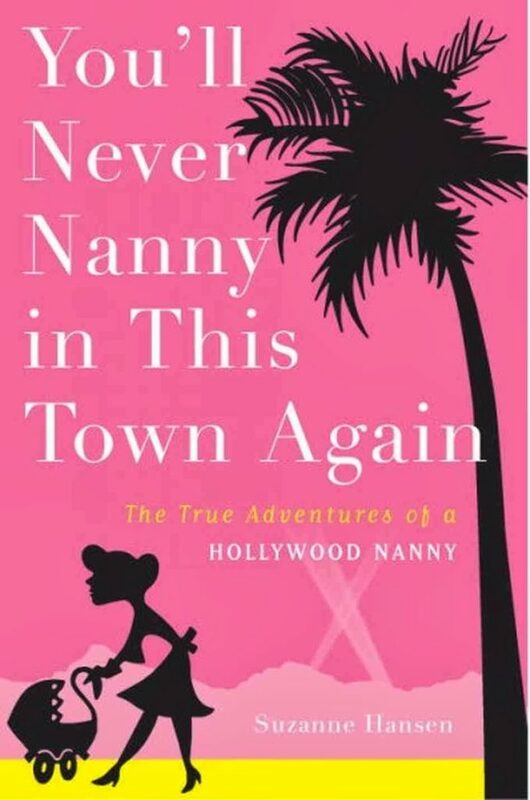 The author was the nanny for the Ovitz family, he was basically the Ari Gold of the 80’s. Craziness ensued. Detached moms. Over-worked Dads. Strange class-systems within the house. Overall entertaining and sad. Do I reccomend it: Eh, whatever. She’s a good ‘ole fashion mom who likes to craft and throw parties… she’s hands-on and well, I just kind of like her. Again, more light reading. But at least it was interesting. And may the record state that I’m sad that her reality show was cancelled. Do I reccomend it: Of course I do. I like her. THEN, when he spoke at my college one winter day years ago, I risked my life driving in horrendous snowy conditions so I could listen to him and have him sign a copy of my book. So this book? Ah, well… it was sort of a dream. Can you imagine? 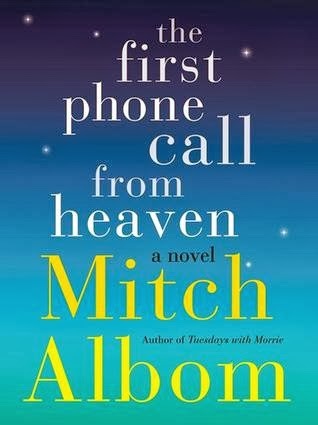 A phone call from heaven? From your Mom? Sigh. Anywho, I loved the first part, didn’t love the last part. That’s all I’ll say. Do I reccomend it: YES. It’s Mitch Albom. Duh. Oh my gosh. I know this is for 3-7 year olds, but let’s be honest, MOMMY likes the book the best. This book is who-larious. 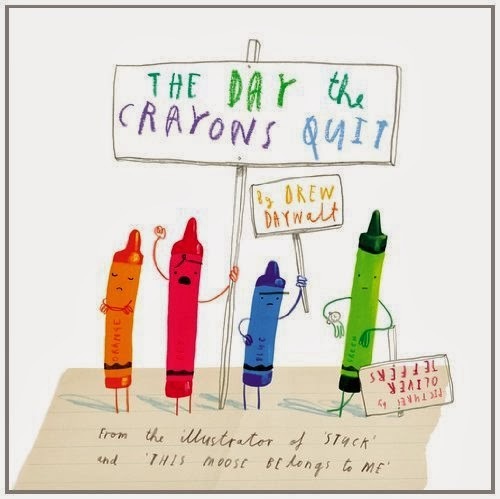 Each crayon quits and writes a letter explaining why. You need this book. Buy it. In regards to Long Island Medium, did you see the post that went viral about the sister who had died of cancer and her sister did pictures of the sister's husband and daughter? How she finds feathers, white feathers? I love the book reviews. If you want the link to the story I'm talking about let me know and I'll shoot it to you. YES! That post was incredible. I absolutely believe in signs. That feather, that white feather… when they were taking the pictures? I mean, come on. They're with us. I was very wary of reading this book. I don't believe in rainbows and butterflies and magic. I would never take part in the "light as a feather, stiff as a board" stuff at slumber parties and I'd never touch a ouji board. THAT SAID……this woman has a gift. And biblically, folks in the Bible have had gifts, as well. Look at all that reading! 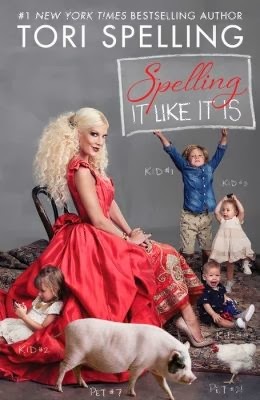 !I want to read the Tori Spelling book, I agree…I LOVE her and was bummed her show was cancelled. I am going to have to check that out.And that crayon book looks awesome! Getting that one for sure! !